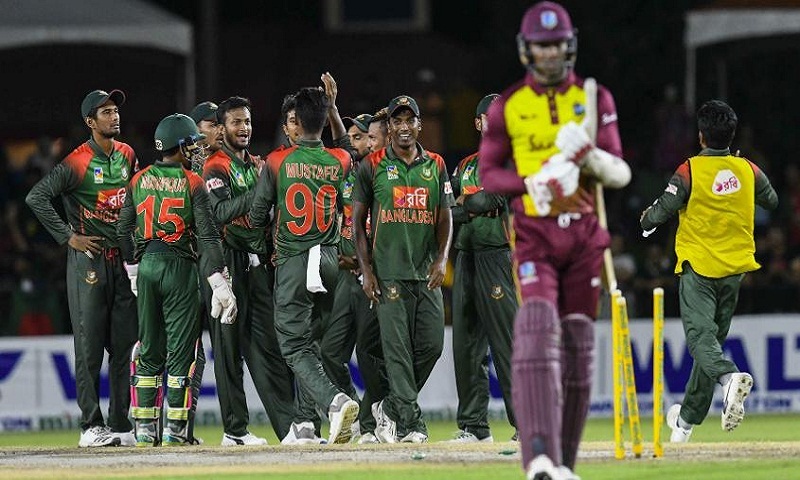 Both Bangladesh and Sri Lanka, who will kick off the latest edition of the Asia Cup, are grappling with injuries ahead of their game in Dubai on Saturday, 15 September. First, the injury updates. For Bangladesh, talismanic all-rounder Shakib Al Hasan needs a surgery on his left little finger, but has pushed it back till after the Asia Cup; Tamim Iqbal, the senior opener, has a swollen right ring finger; Nazmul Hossain, the off-spinner, also has an injury in his bowling hand. On to Sri Lanka now, and Danushka Gunathilaka has returned home even before the start of the tournament with a lower back problem, and has been replaced by Shehan Jayasuriya, the off-spinning all-rounder. Before the Gunathilaka-Jayasuriya swap came the news that Dinesh Chandimal is out with a finger injury – Niroshan Dickwella, the wicket-keeper batsman, has since replaced him. One will hope that is the case, because there is a fair bit of excitement around Dubai – and Abu Dhabi, the other venue for the tournament – around these matches pitting the best teams from Asia against each other; the migrant workforce in the United Arab Emirates is expected to be at the venues in force. And they should expect a great contest to start off with. Bangladesh come into the tournament on the back of a 2-1 series win over the Windies in the Caribbean, while Sri Lanka’s lost their last assignment, a five-match home series against South Africa, but have some momentum after having won the last two games of that series and then the one-off Twenty20 International. Bangladesh have a full-strength side to pick from, fitness permitting, with the mainstays Shakib, Iqbal, Mahmudullah, Mushfiqur Rahim and Mustafizur Rahman all there. With Chandimal out, Sri Lanka can’t quite make the same claim, but their squad looks strong on papers too. Angelo Mathews has tremendous experience and class, qualities that aren’t lacking in the core of Upul Tharanga, Kusal Mendis, Kusal Perera, Suranga Lakmal or the returning Lasith Malinga either. The return of Malinga, indeed, has been one of the stories in the lead-up to the event, with the paceman not having played any international cricket since September last year. But despite the presence of Lakmal and Malinga, Akila Dananjaya, the off-spinner with a big bag of tricks, could well be the frontman of the bowling attack on the slowish tracks. With Afghanistan the third team in the group, both Bangladesh and Sri Lanka will try to make a good start to the tournament and make sure they don’t fall behind in the race for the Super Four – for that, they need a big performance up front. Tamim Iqbal (Bangladesh): He’s Bangladesh’s best batsman, and comes into the Asia Cup in rollicking form, having hit two centuries in the three matches in the Caribbean. The centuries came in the two games Bangladesh won, 130* and 103, both innings of maturity and responsibility. If in the groove, he can take the game away from Sri Lanka early on. It’s expected to be bright and sunny in Dubai through the day, and warm – perhaps humid too – in the evening. Runs are there to be had, but spinners will likely have a big say in how things pan out.